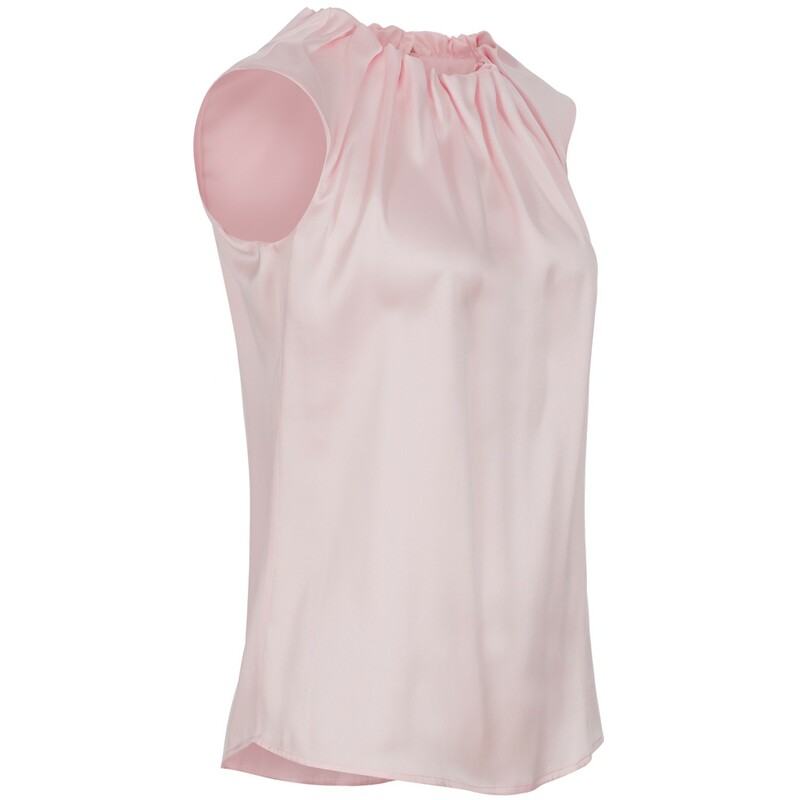 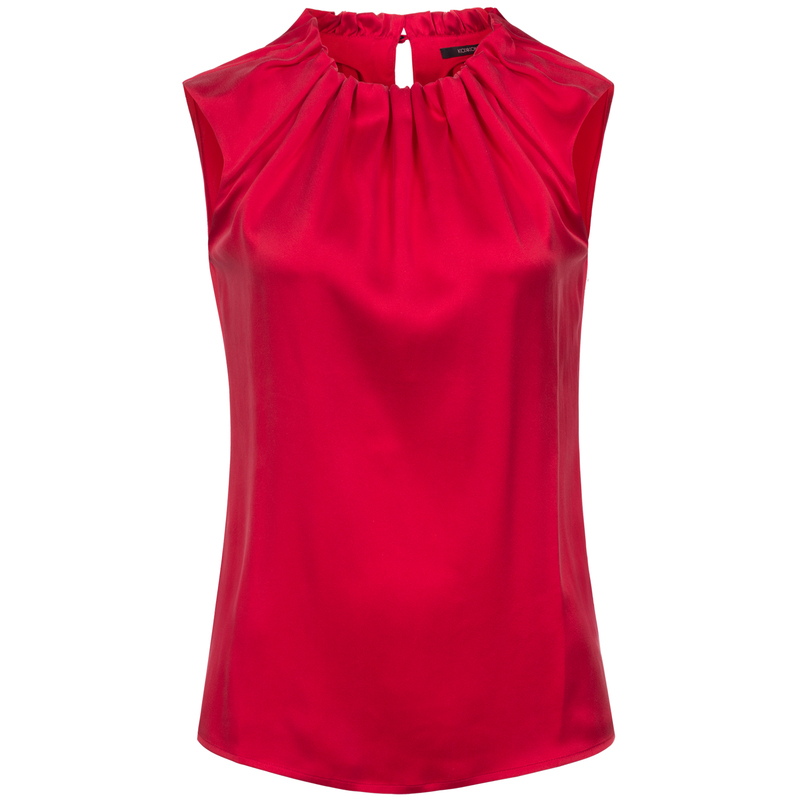 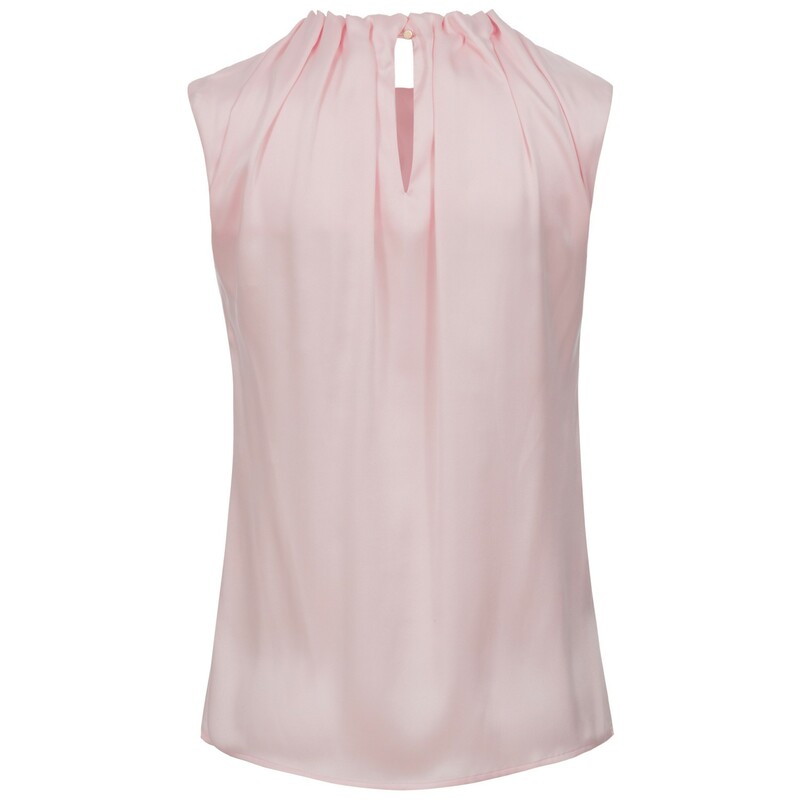 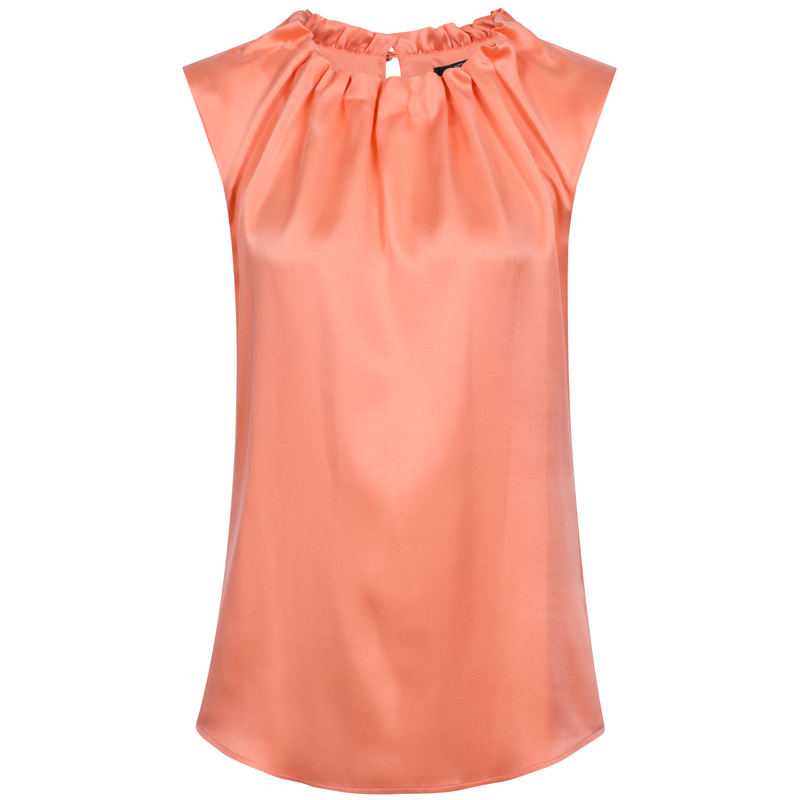 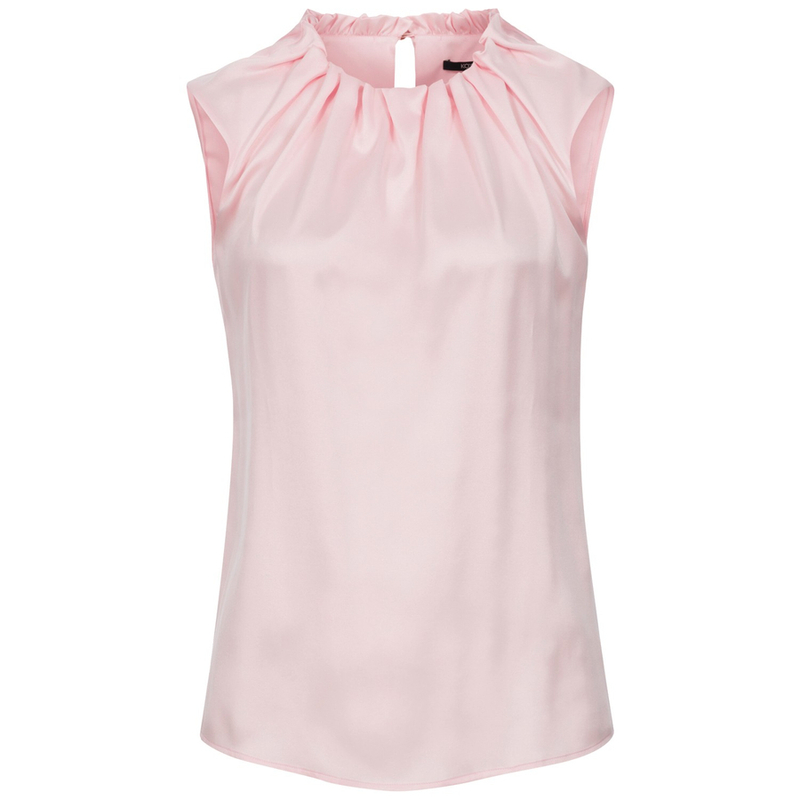 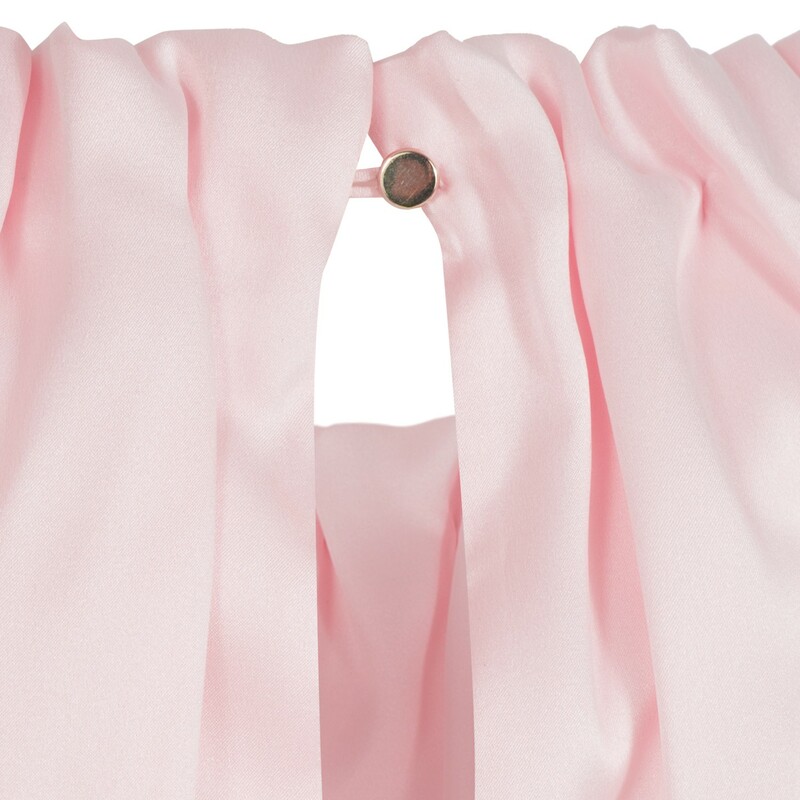 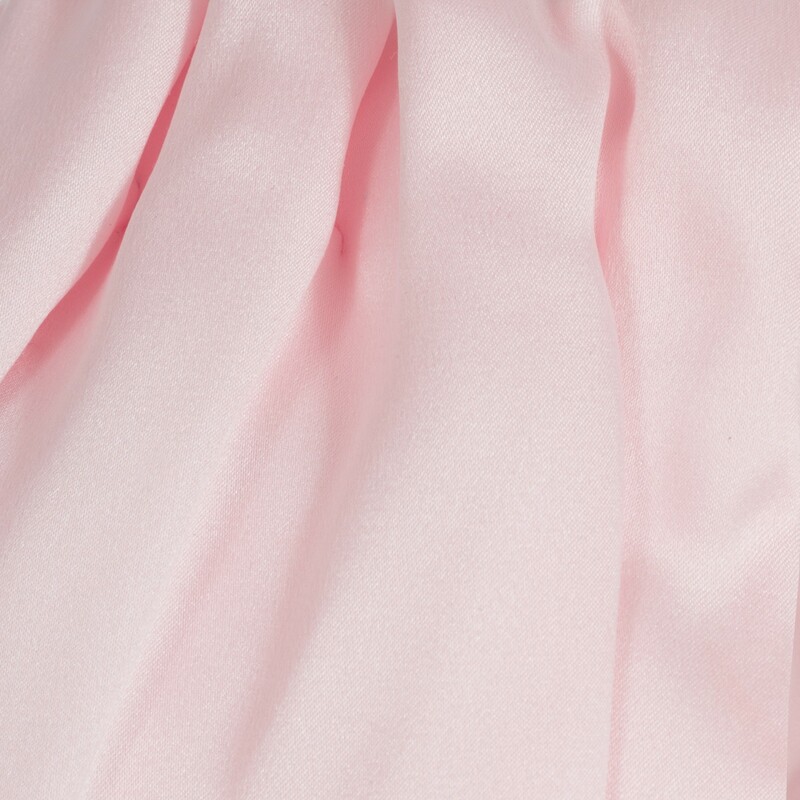 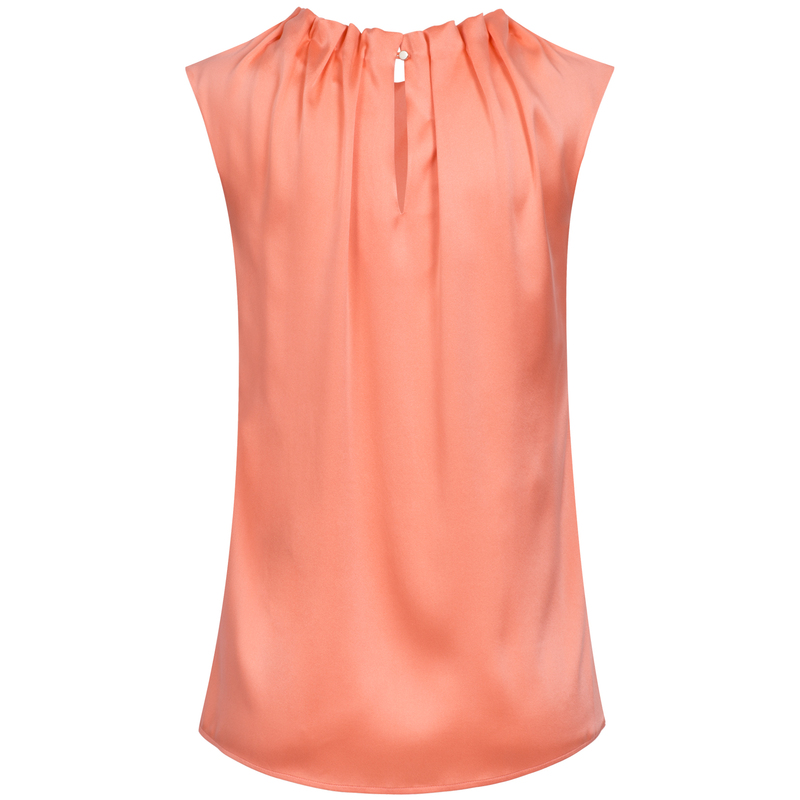 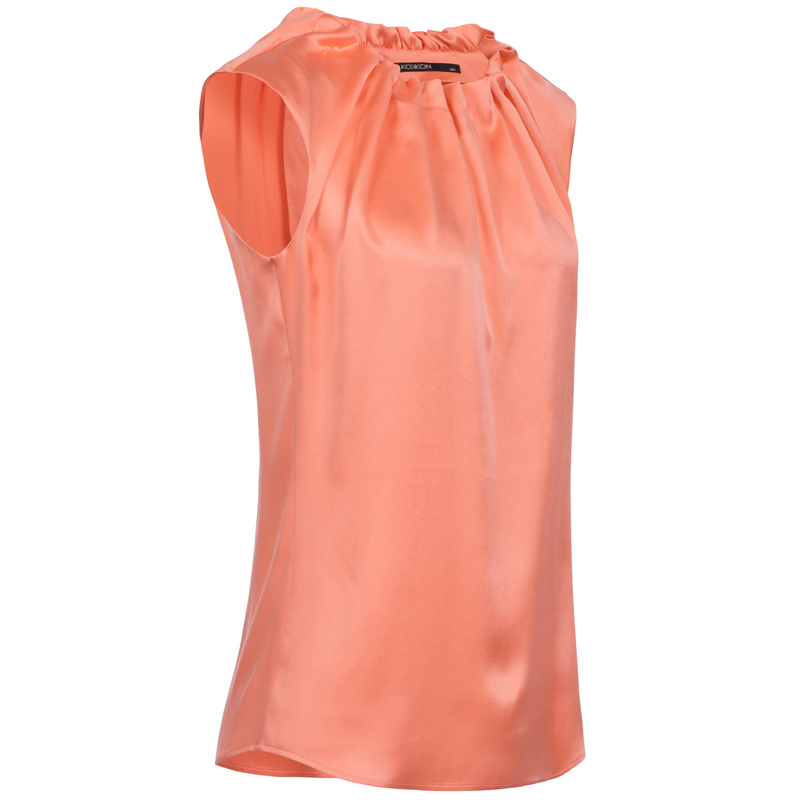 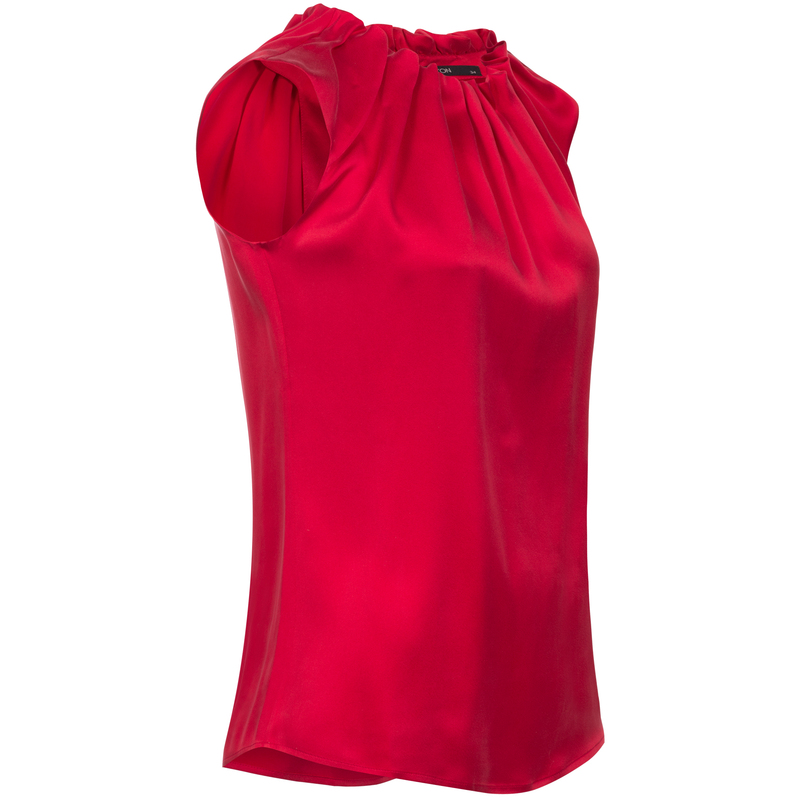 A very special silk blouse in a simple design with a characteristic detail that looks like a rose. 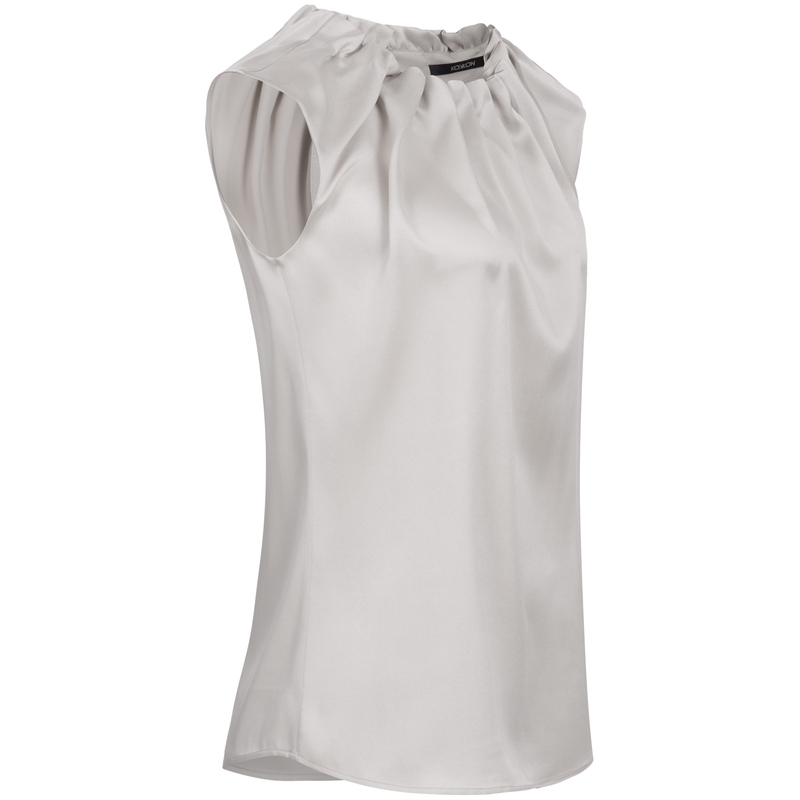 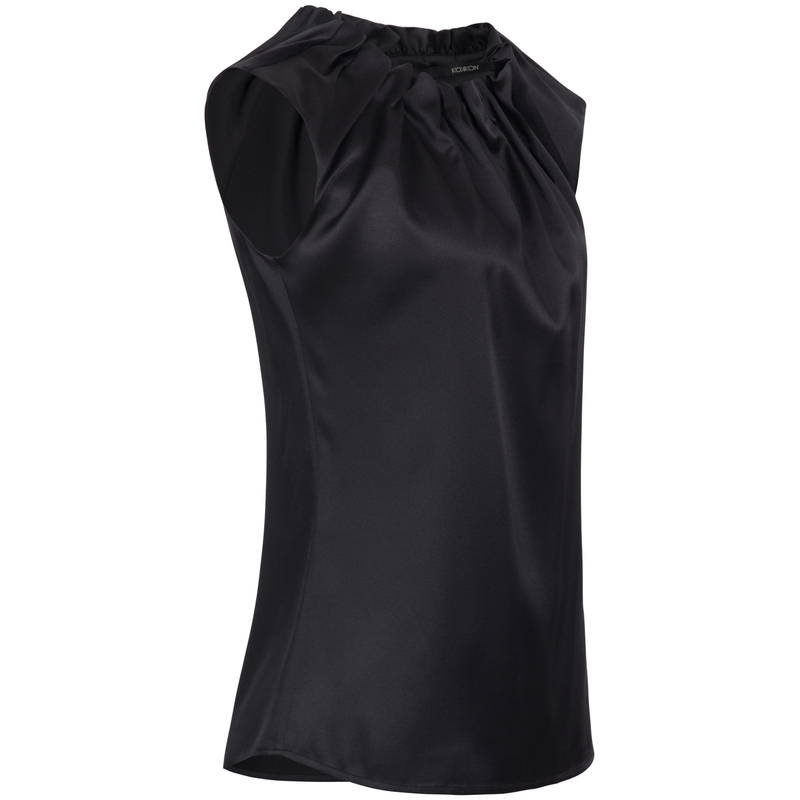 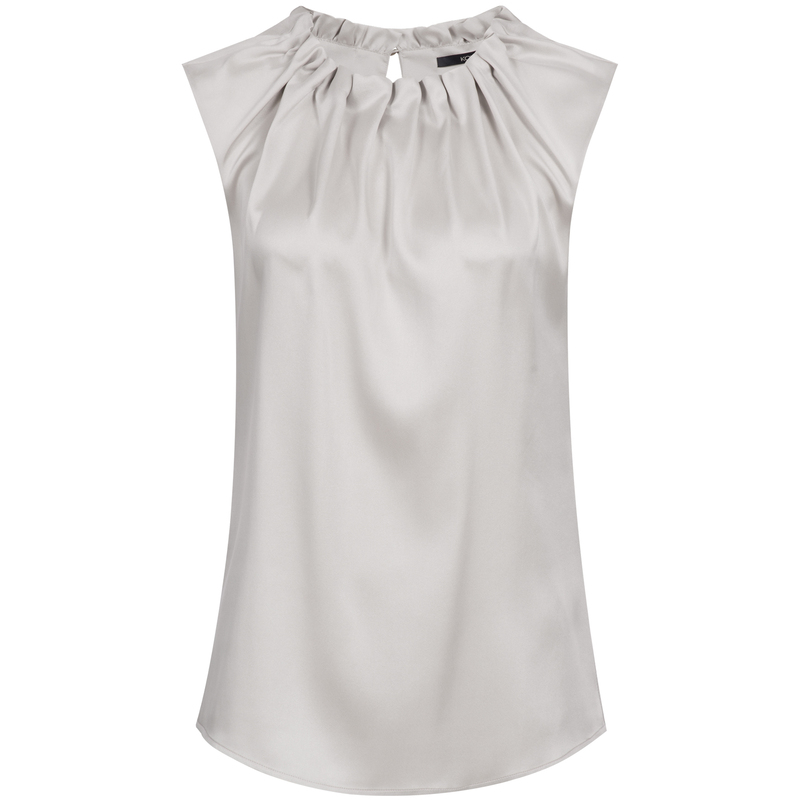 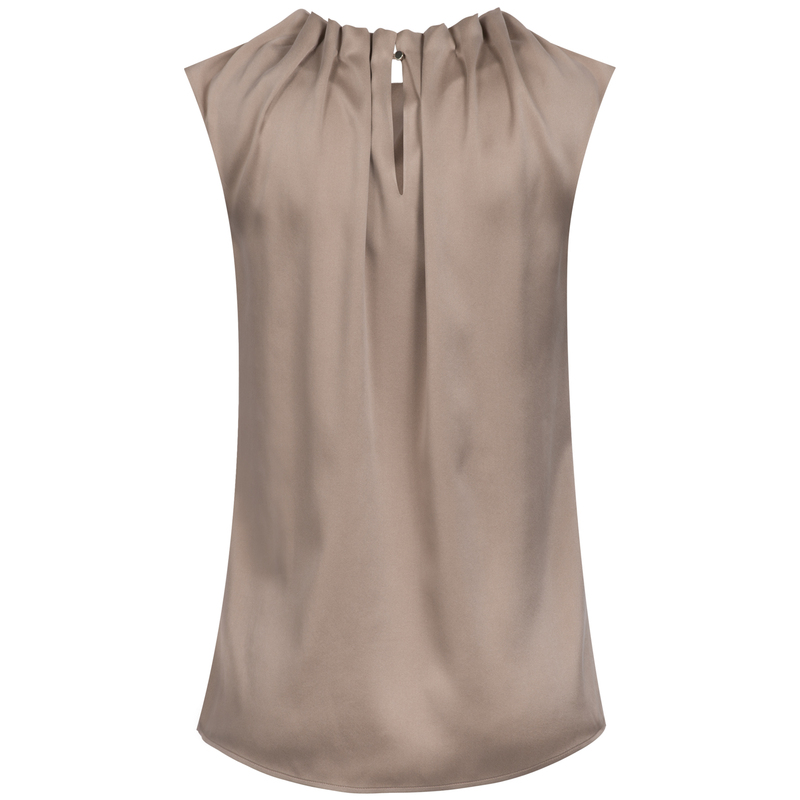 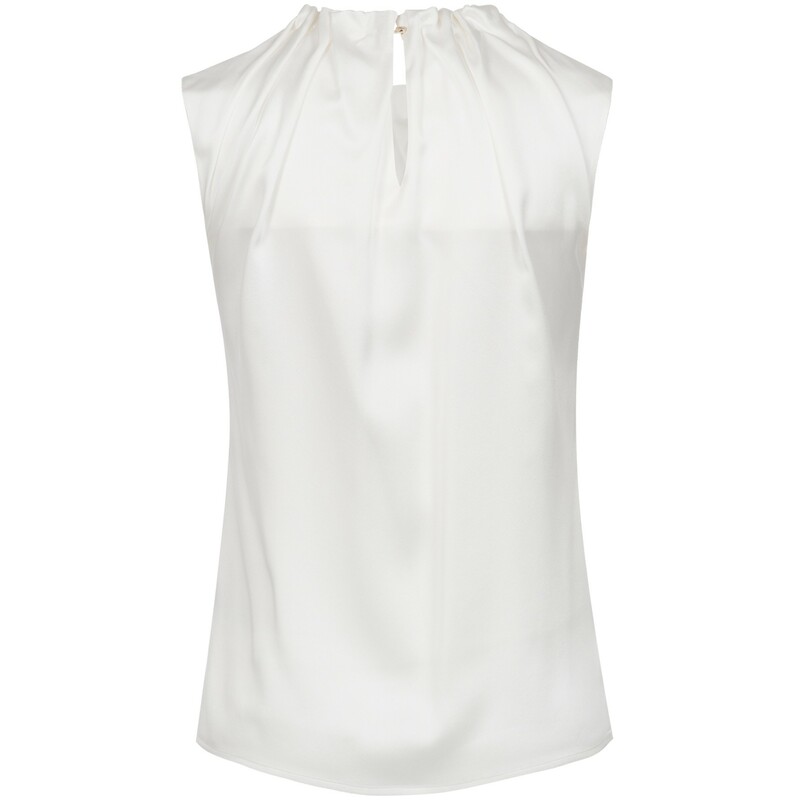 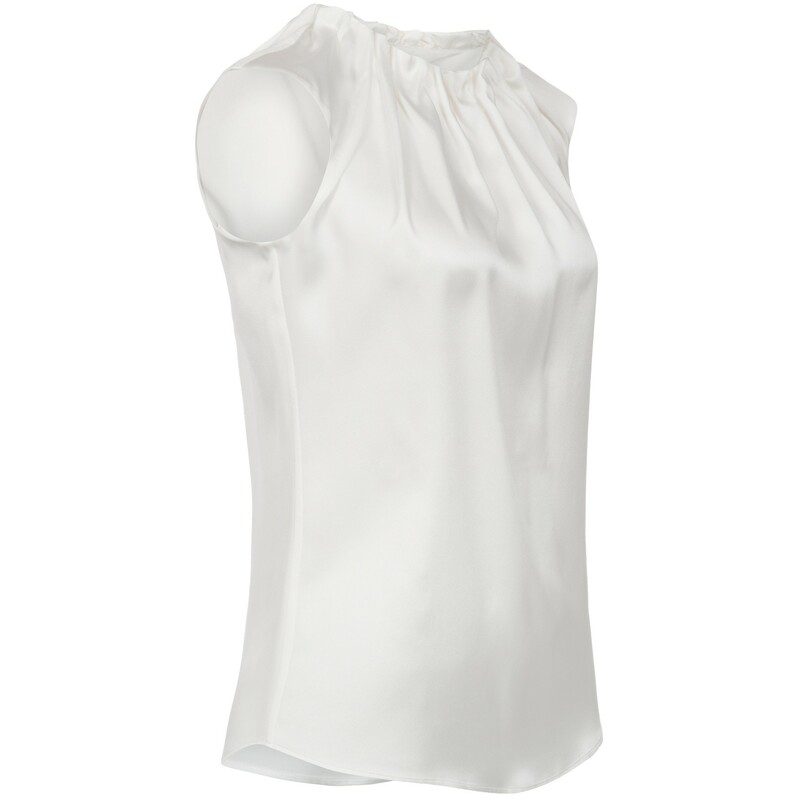 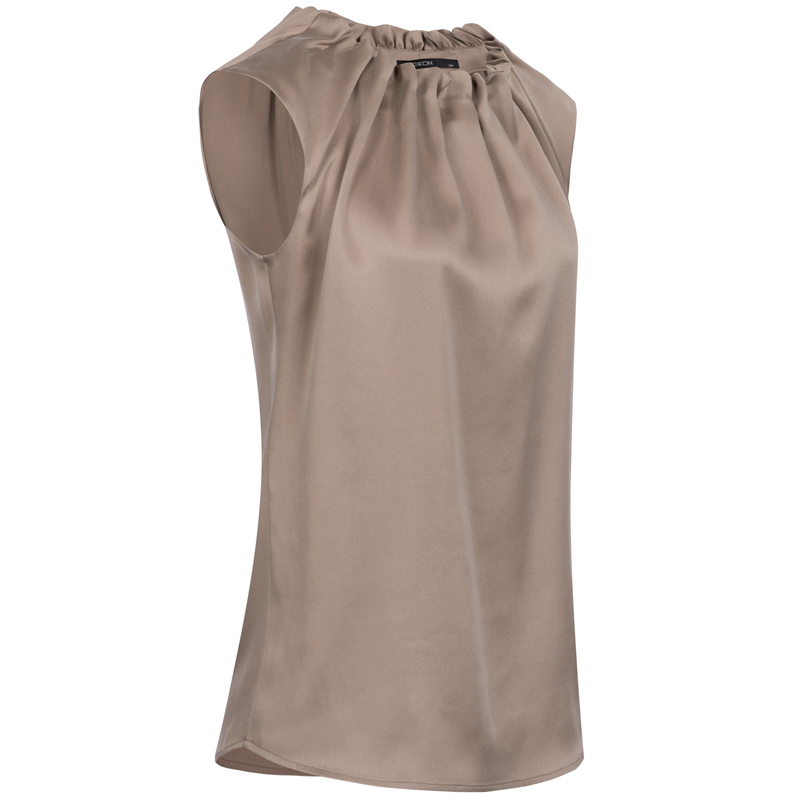 This silk blouse is made of elastic sandwashed silk with a velvety structure and elaborate gatherings at the collar. 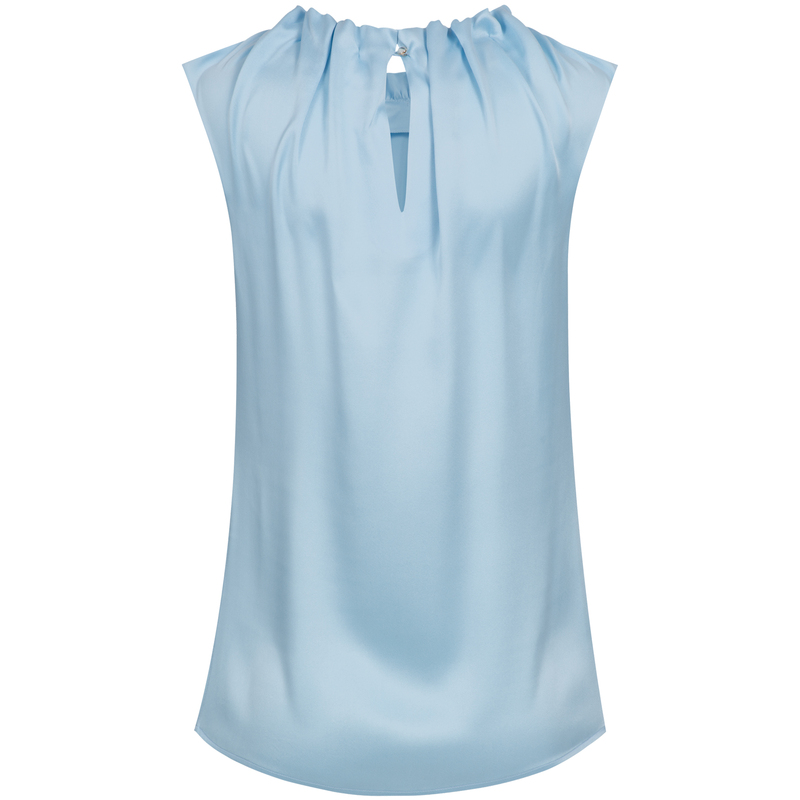 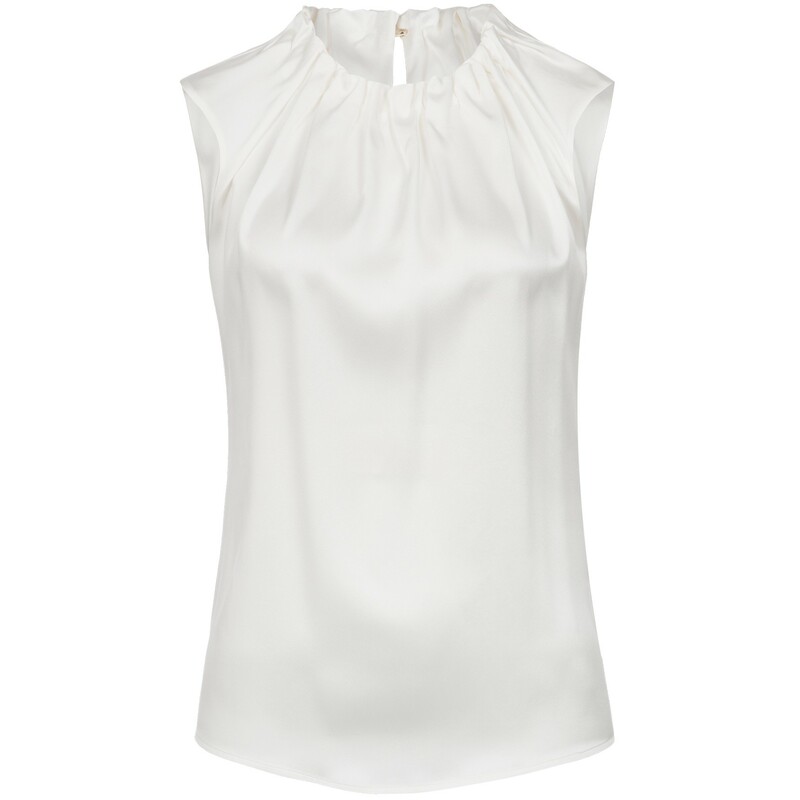 A noble and timelessly beautiful top that can be used for versatile outfits. 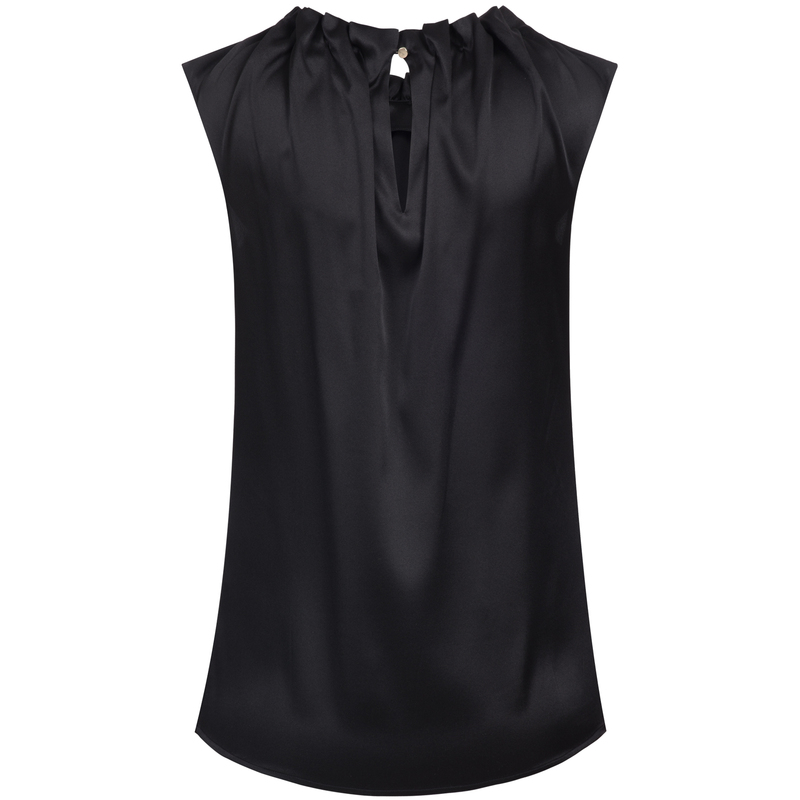 From the classic blouse under a blazer to evening wear.